Hi all! 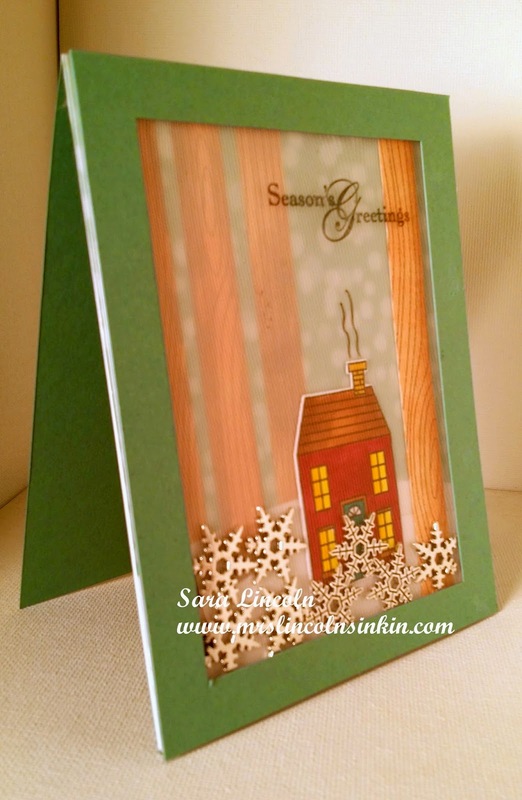 Welcome to Mrs. Lincoln's Inkin' and today's card share! Today's card is a Winder Window Shaker Card. It is a normal size card but is a shaker card as well. It was sooo much fun to make. The base of my card measures normal size of 4 1/4" x 5 1/2" and is using Stampin' Up! Lost Lagoon card stock. I then cut a window out of my Lost Lagoon that measured 1/4" in all the way around, this game me a place for my shaker frame. 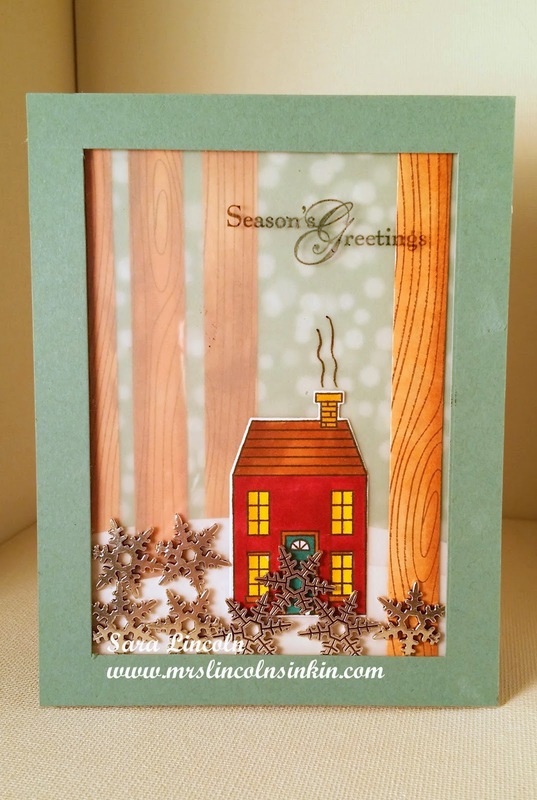 I then decorated my card using a piece of DSP made by Lawn Fawn and then a piece of Neenah Solar White card stock and free handed the shapes of a few trees. 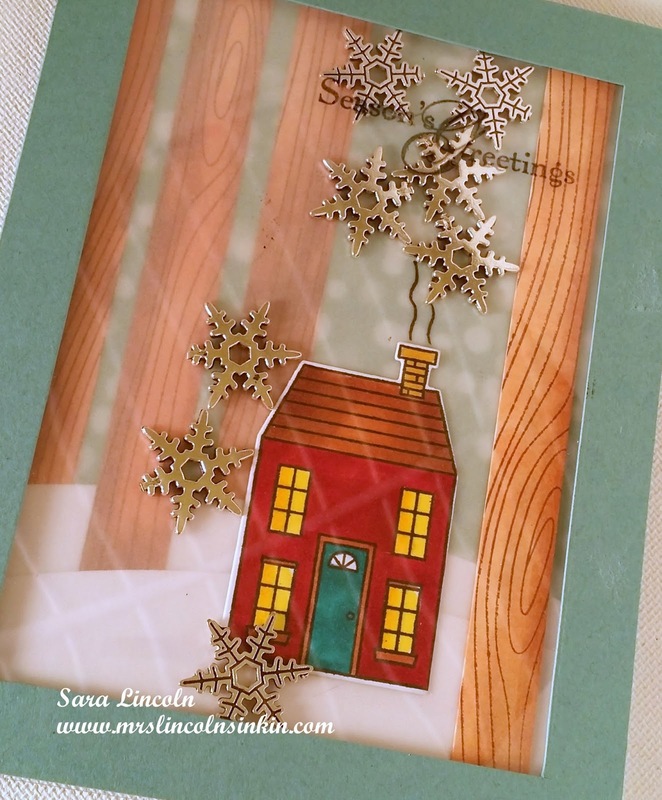 I then placed the white piece on my Woodgrain Stampin' Up! stamp with my Memento Tuxedo Black Ink and used my Copic markers to color it in.